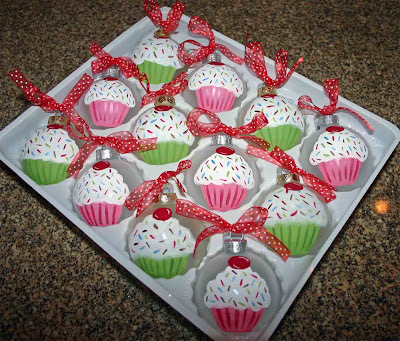 I just finished "baking" another batch of cupcake ornaments for a special order! If you'd like some, you can get a dozen of your own from my Ebay shop! More ornaments coming up soon!